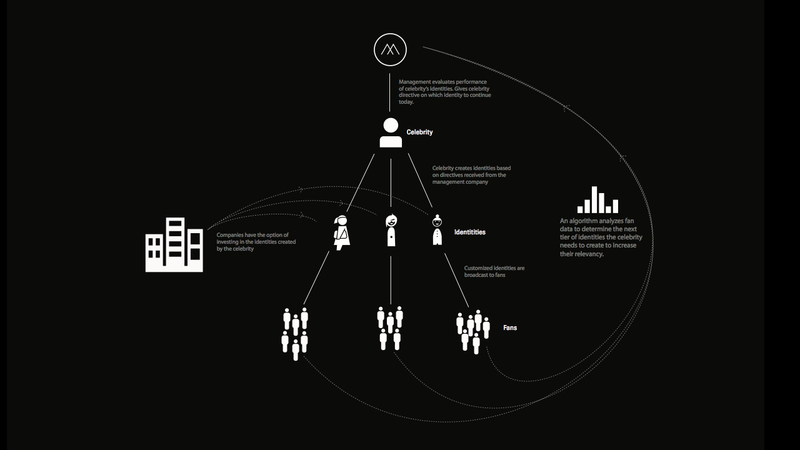 Celeb-plicity is a speculative project that explores what the future could look like in ten years. As more of life is conducted online, companies are able to create profiles of their consumers at a level of detail not previously possible. We explore what this hyper-customized world might look like through the lens of celebrity, focusing on how it changes the celebrity’s relationship with her fans and vice versa by objectifying both parties. We chose this scenario because it also lends itself well to extrapolation on what an everyday world rooted in extreme customization could look like in the future. We wanted to get viewers to think about the future – where it’s headed and where they want it to go - as well as spark conversation about the tremendous amounts of data being collected online by third parties and being sold to various agencies.